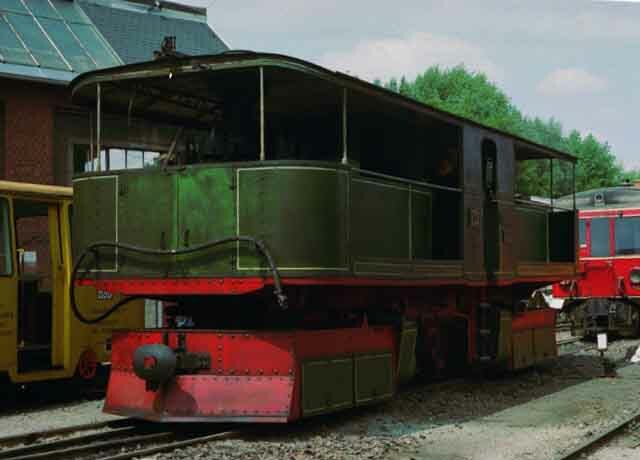 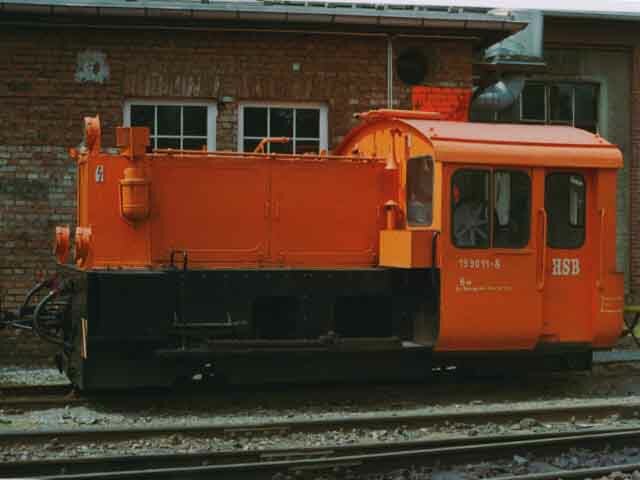 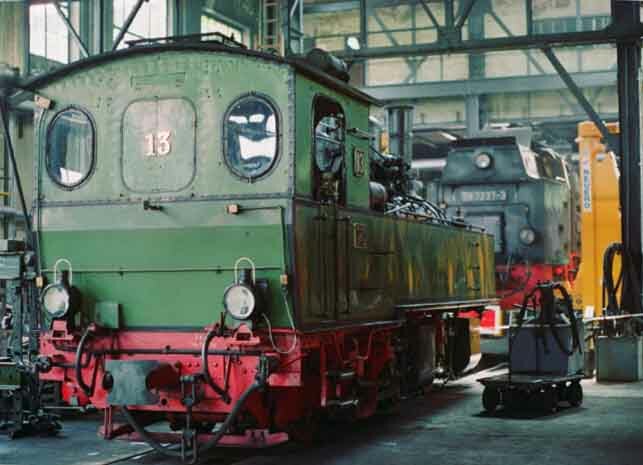 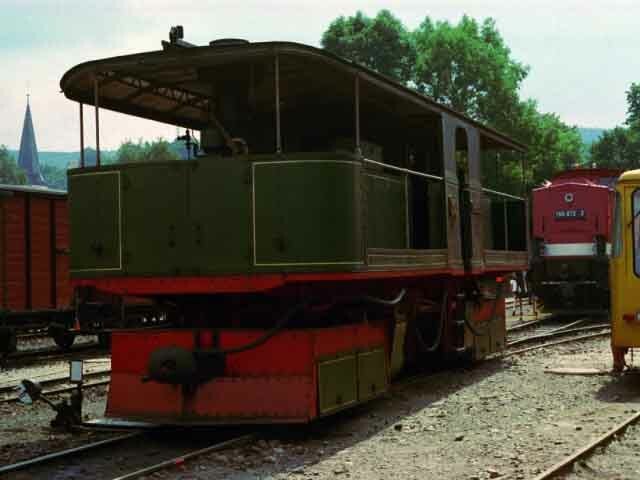 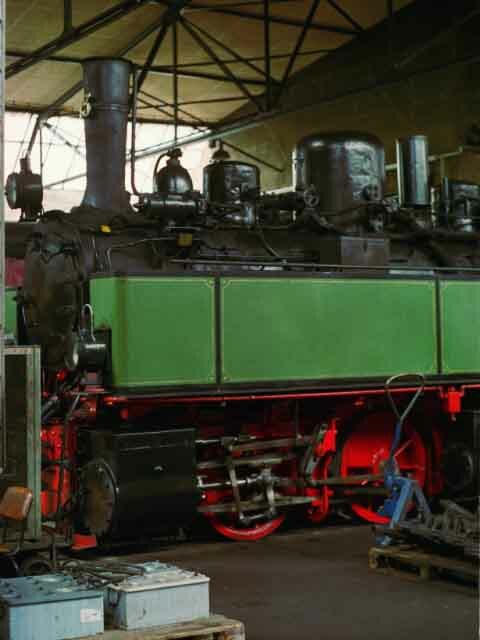 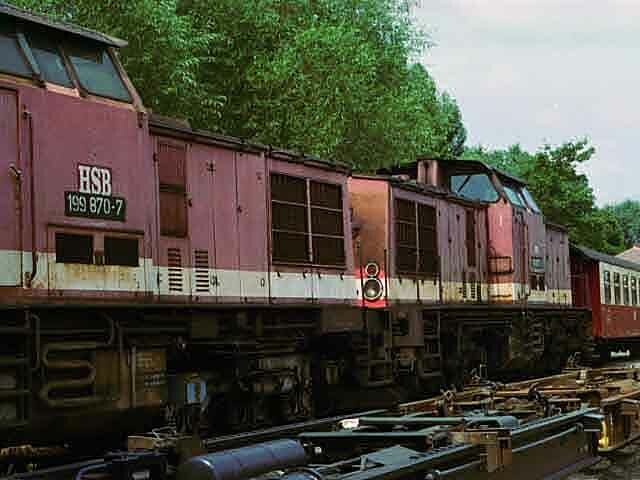 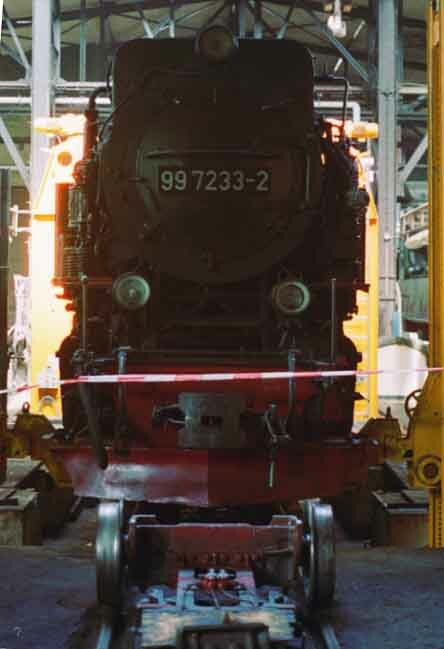 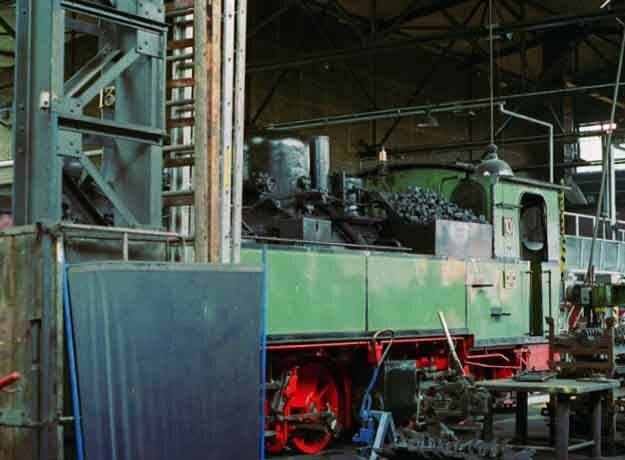 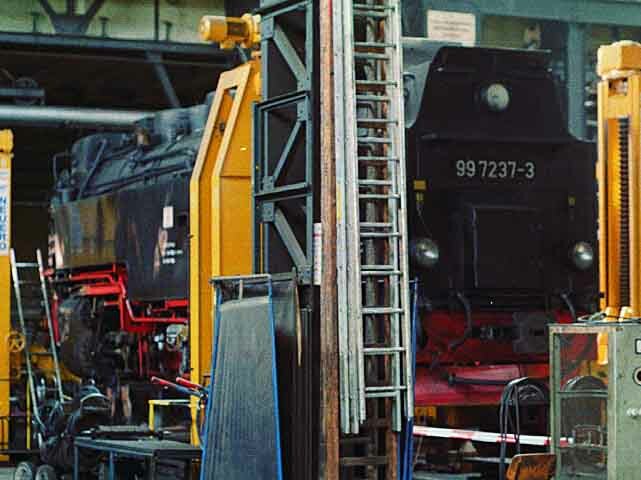 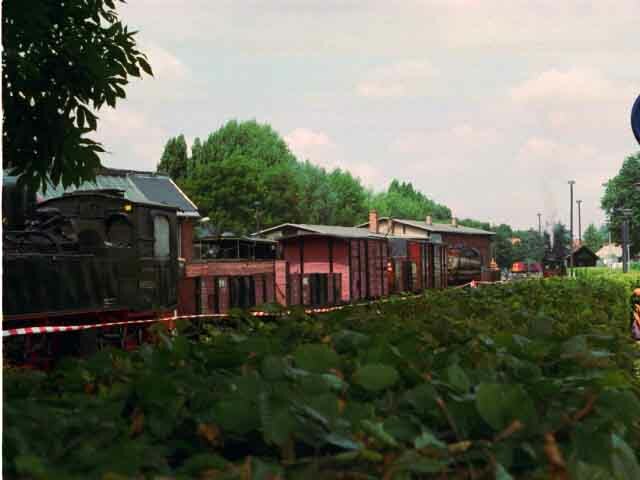 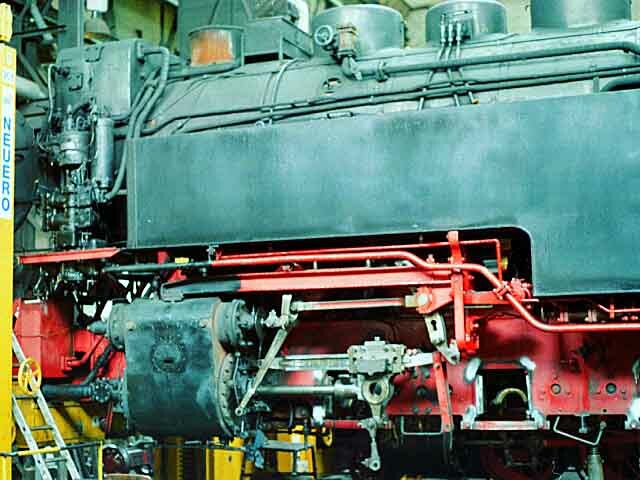 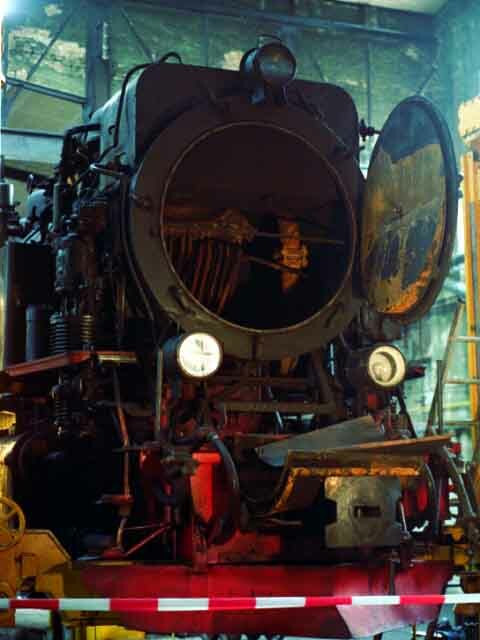 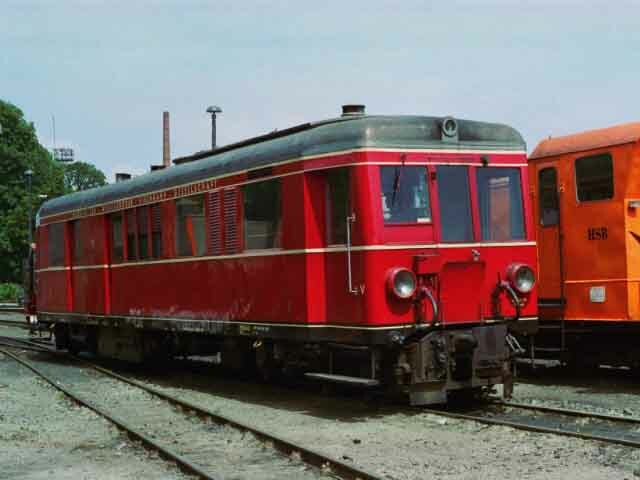 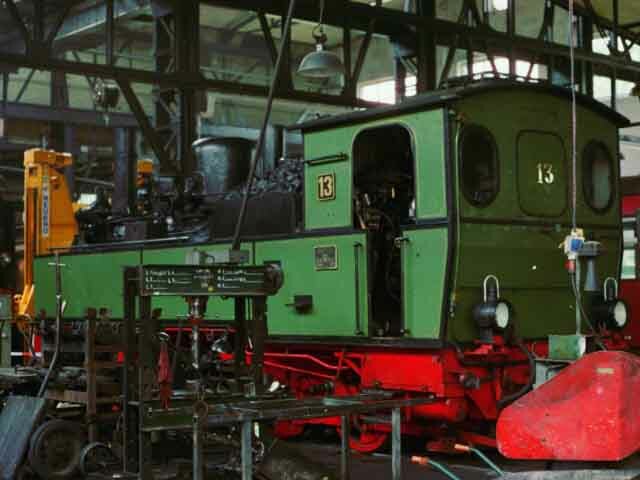 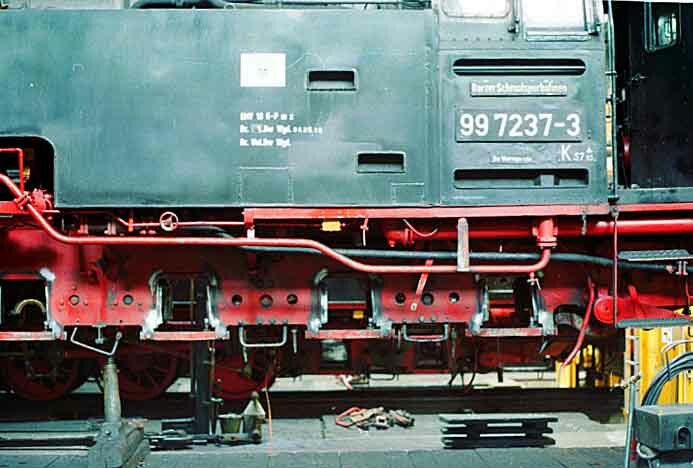 199 870-7 and 199 877-2 stored in the same yard. 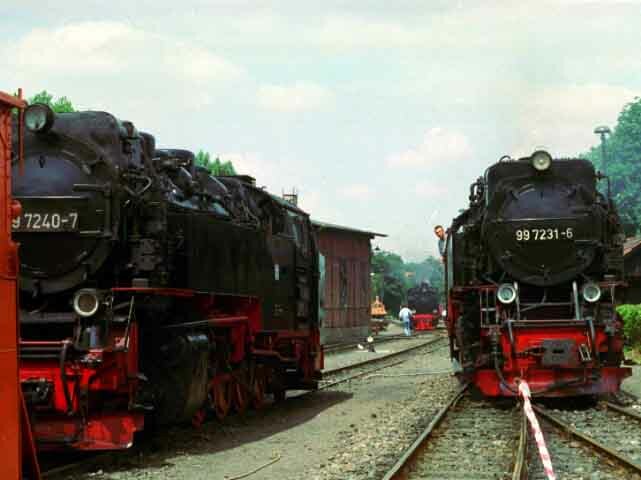 (99 5903-2), and 2-10-2T 99 7237-3 and 99 7233-2. 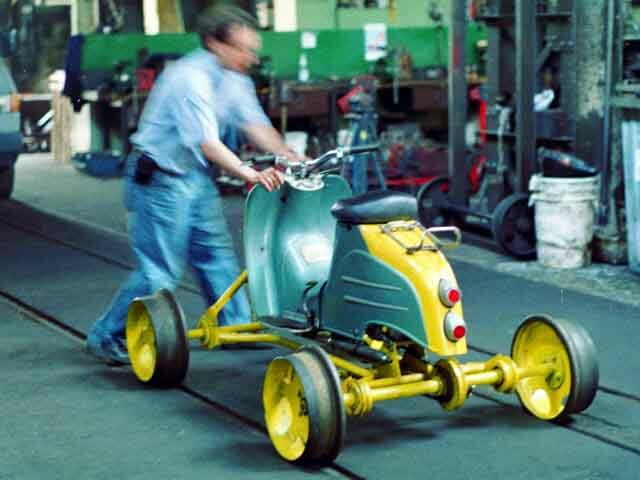 Also inside was a 4 wheel rail scooter. 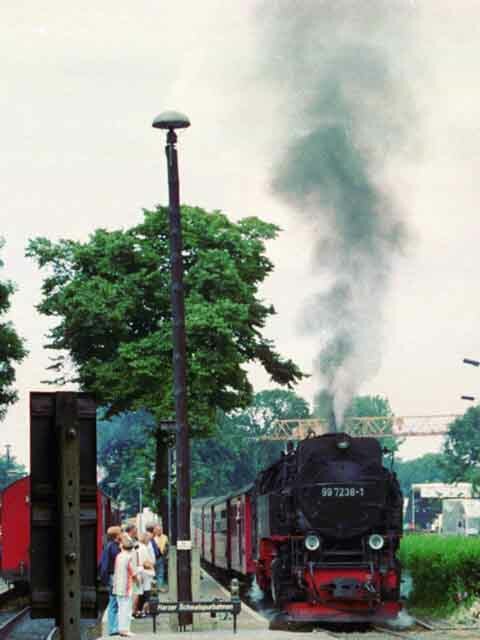 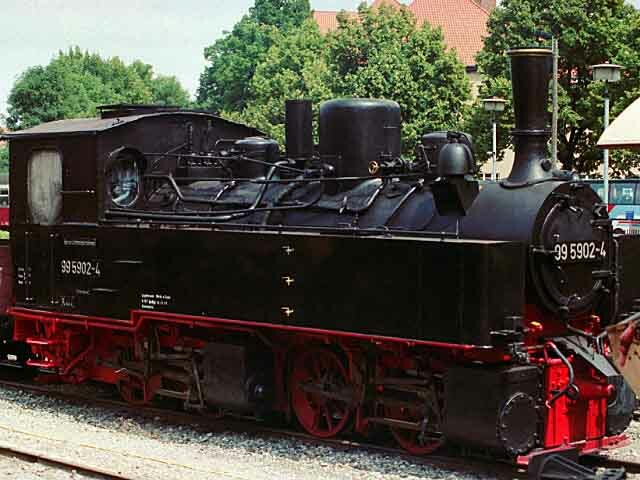 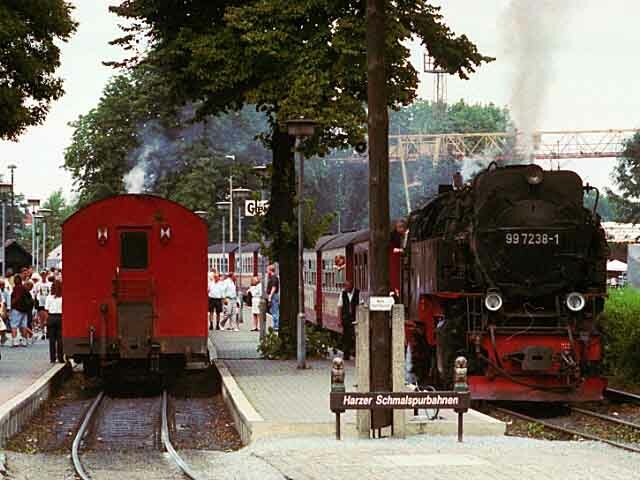 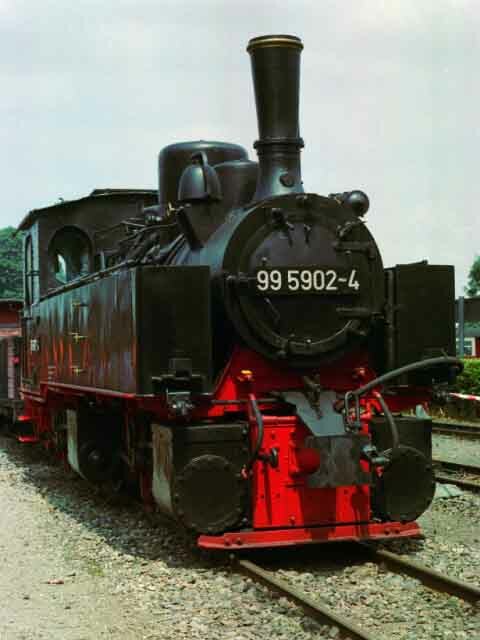 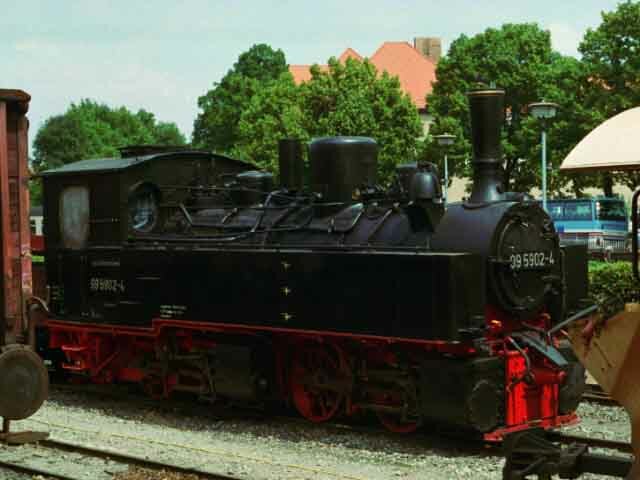 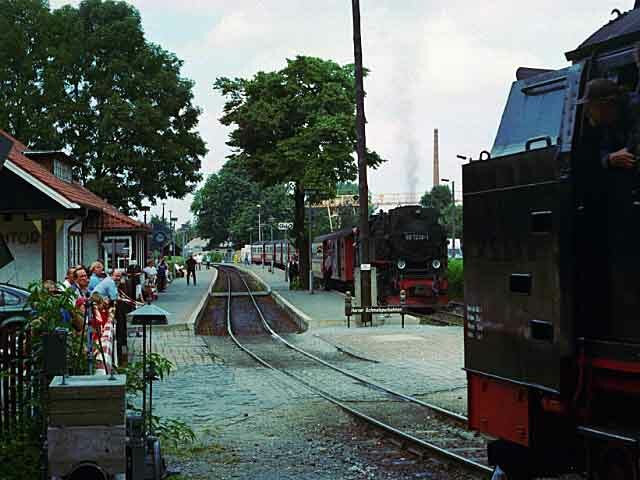 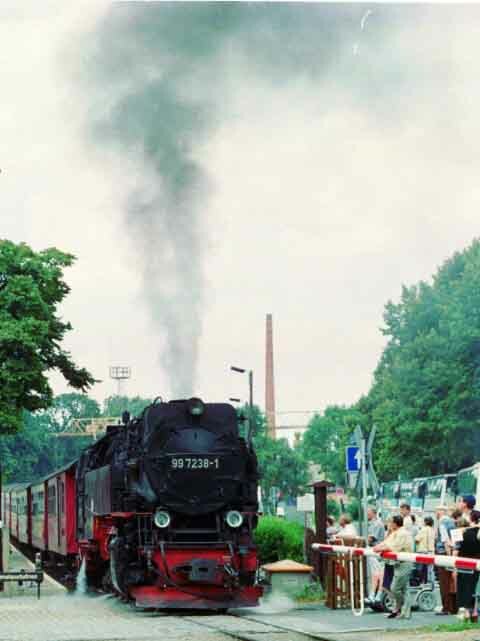 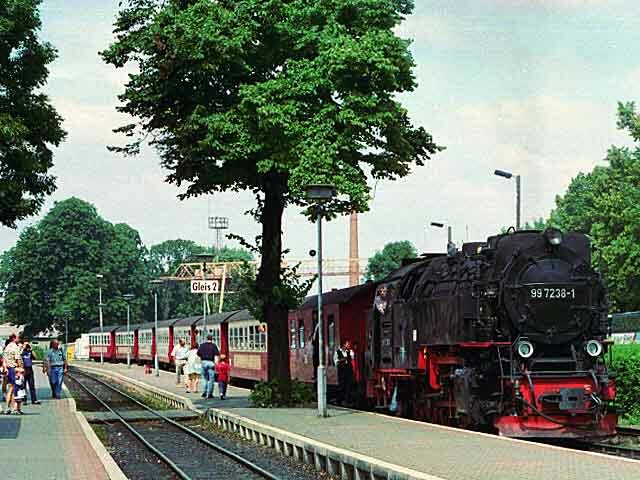 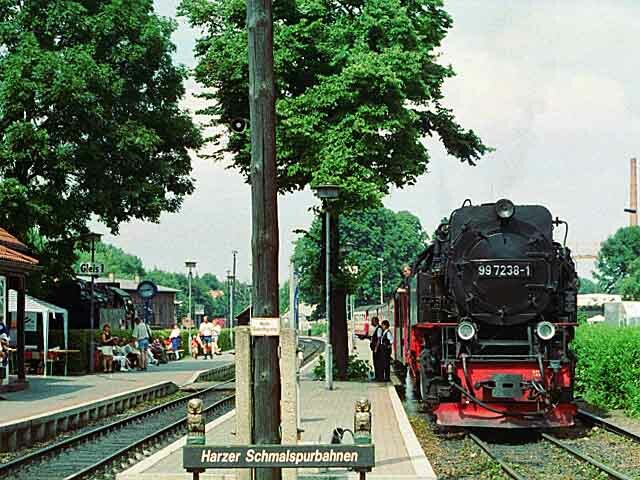 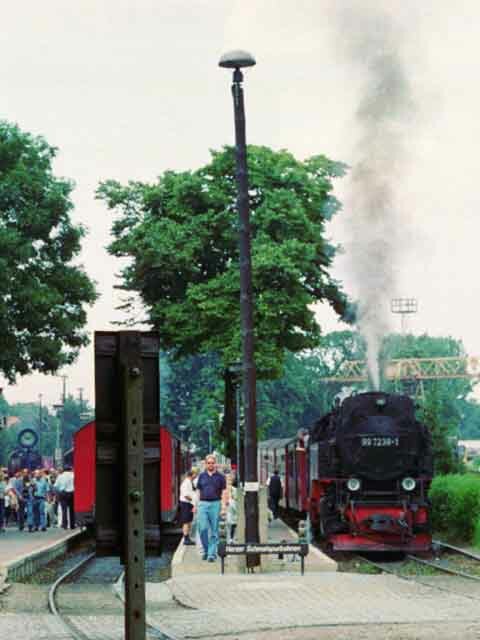 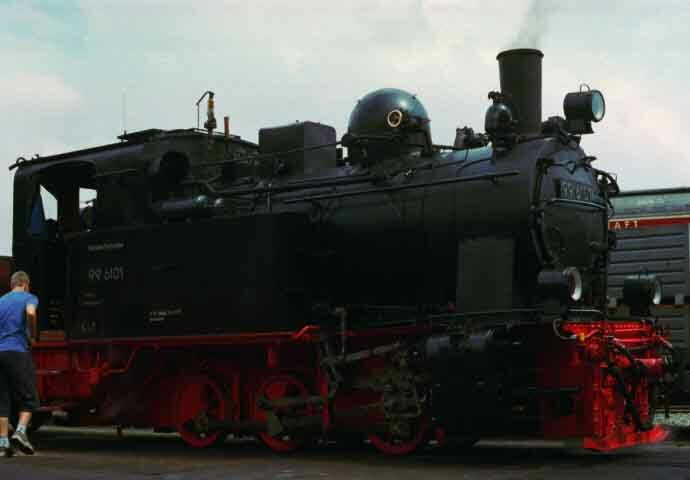 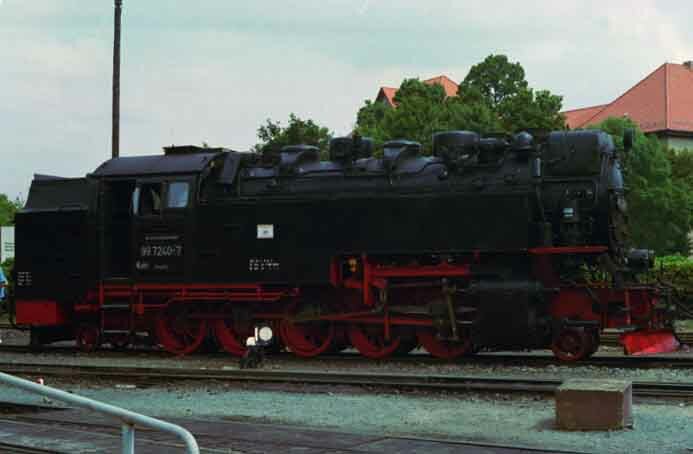 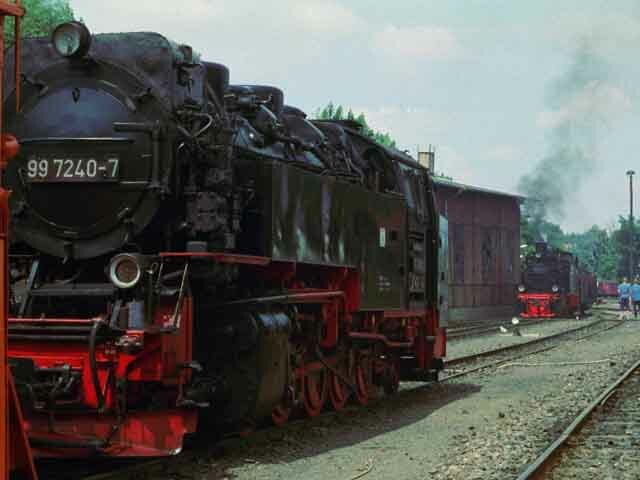 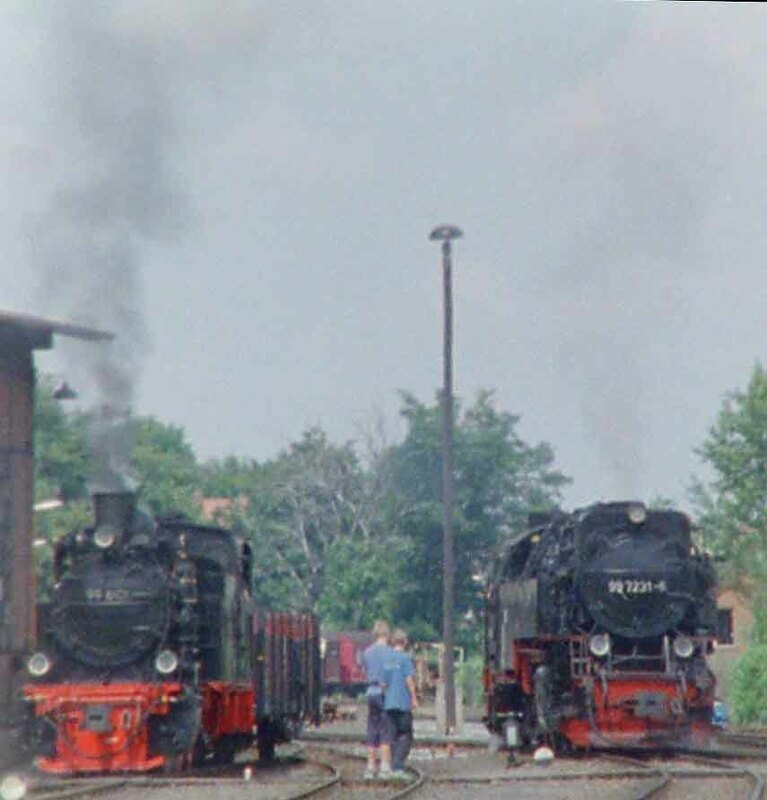 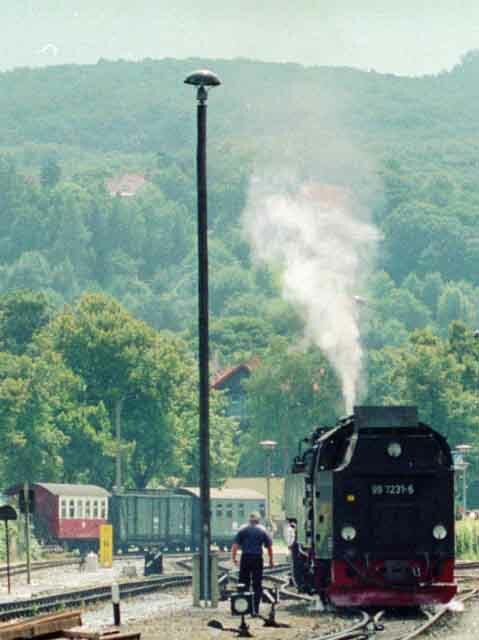 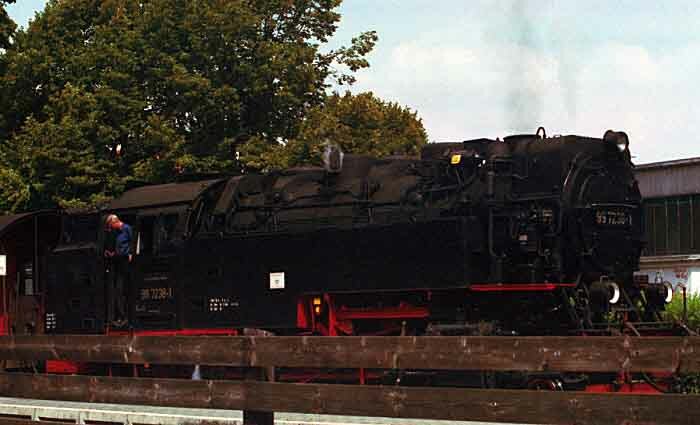 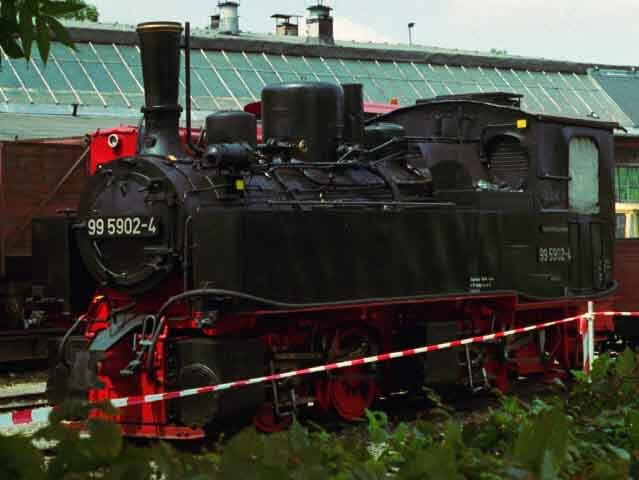 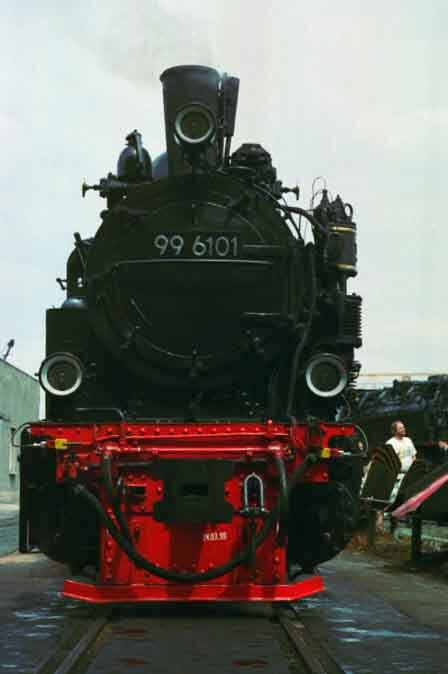 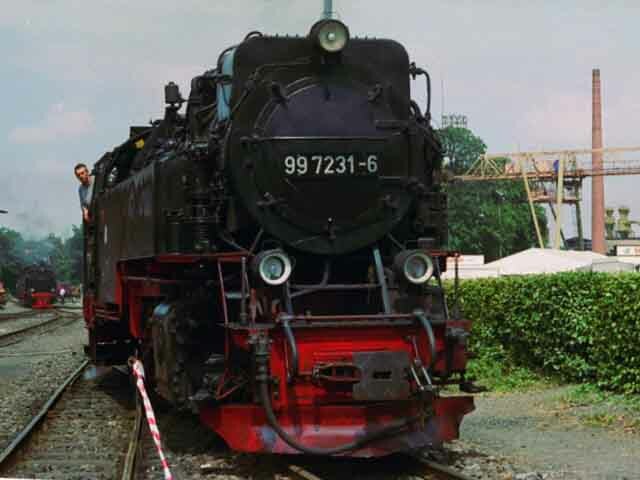 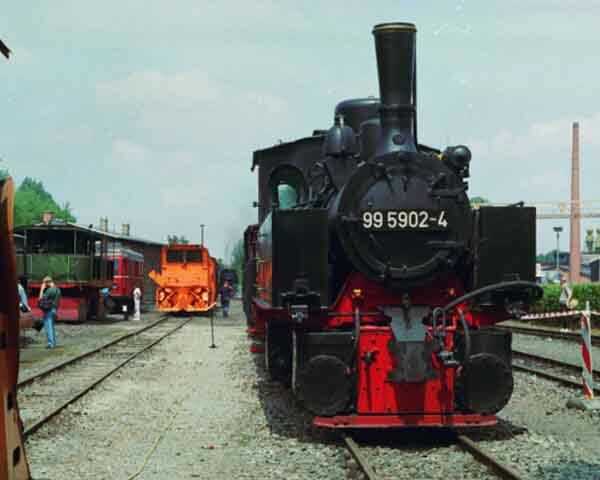 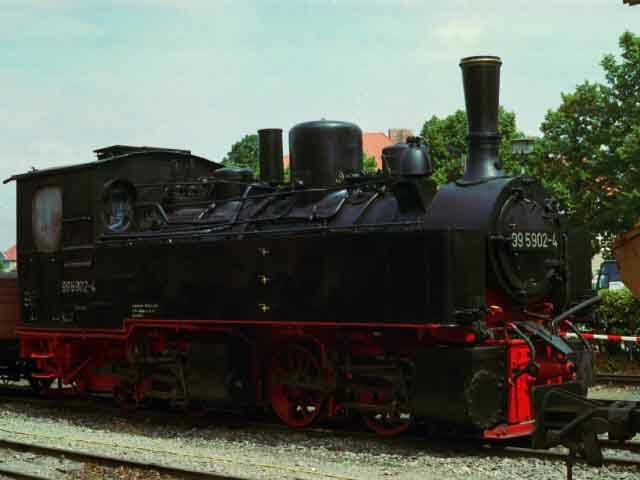 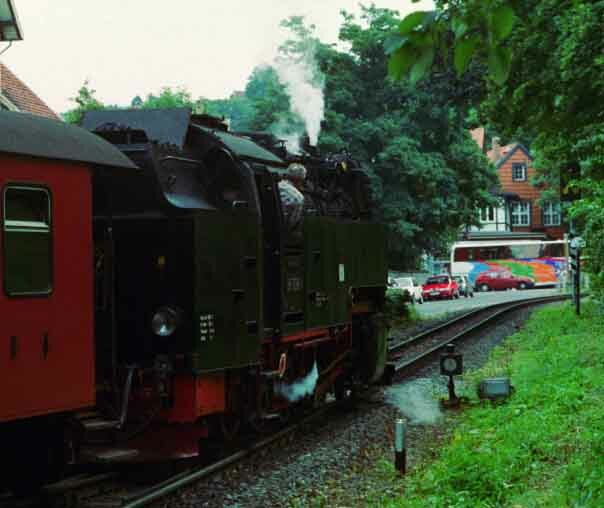 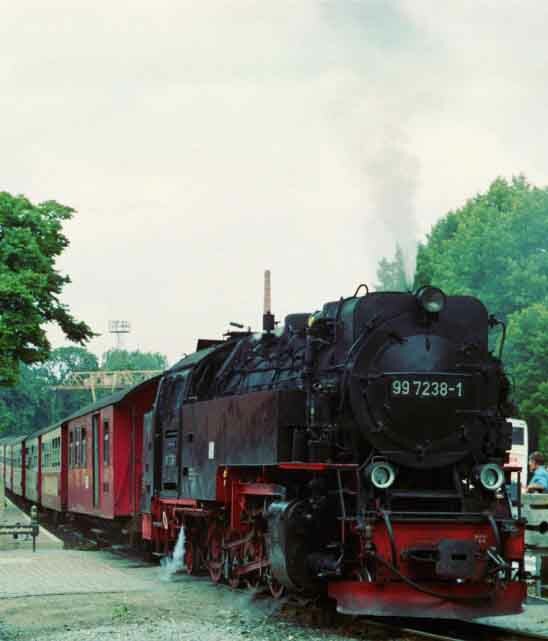 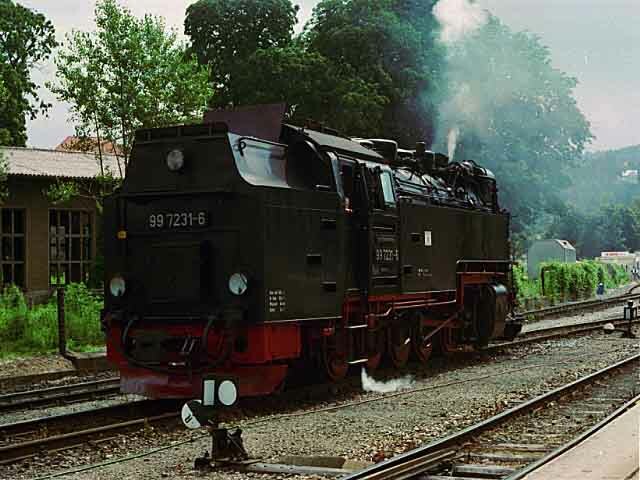 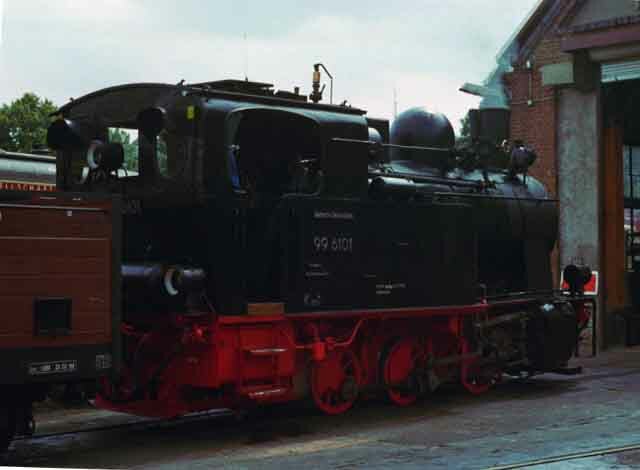 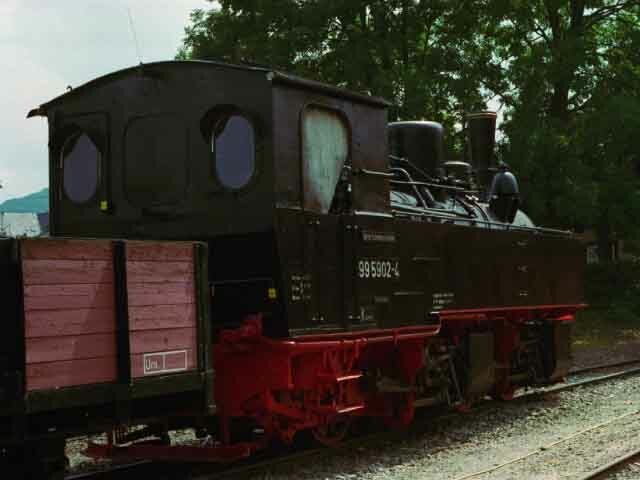 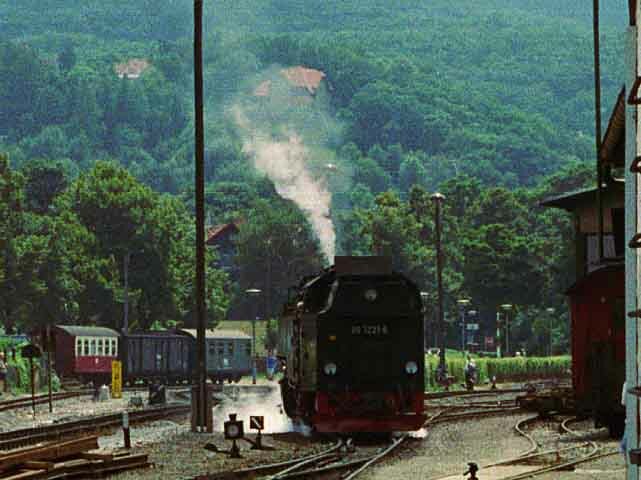 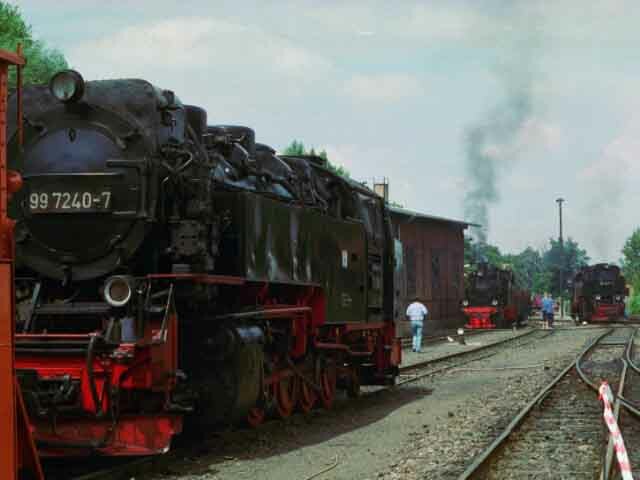 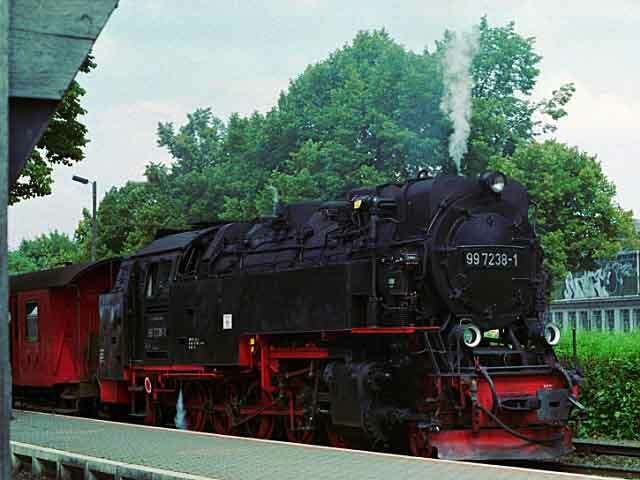 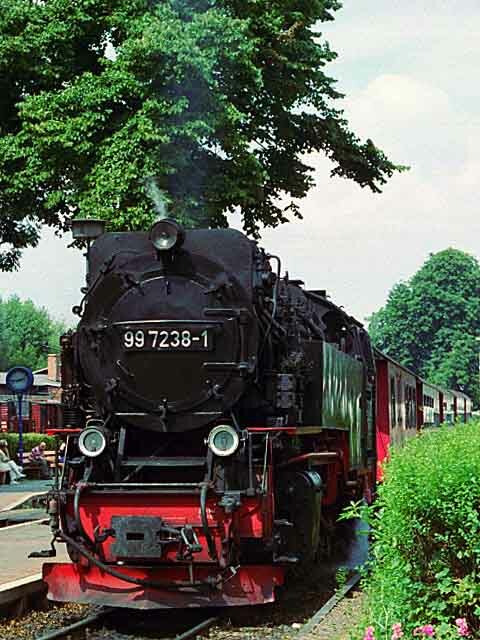 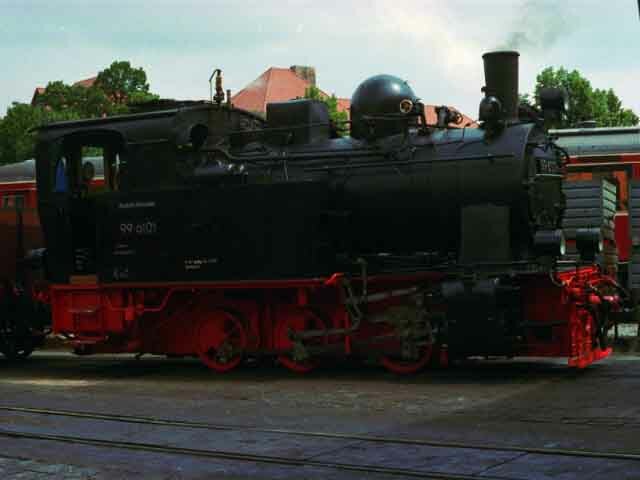 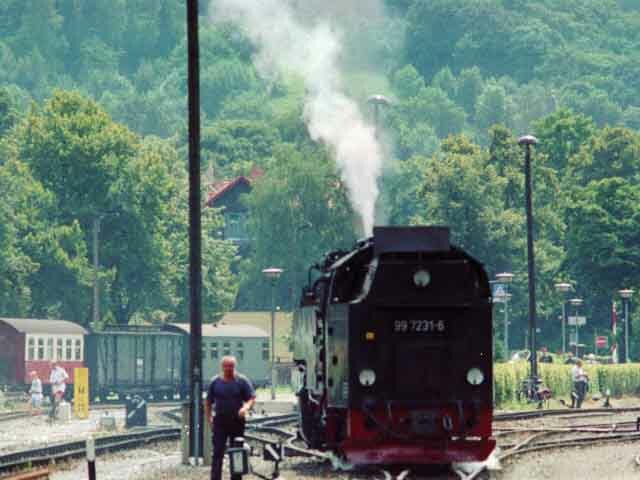 Right: 2-10-2T 99 7238-1 arrives at Westerntor with a train from Wernigerode to Brocken. 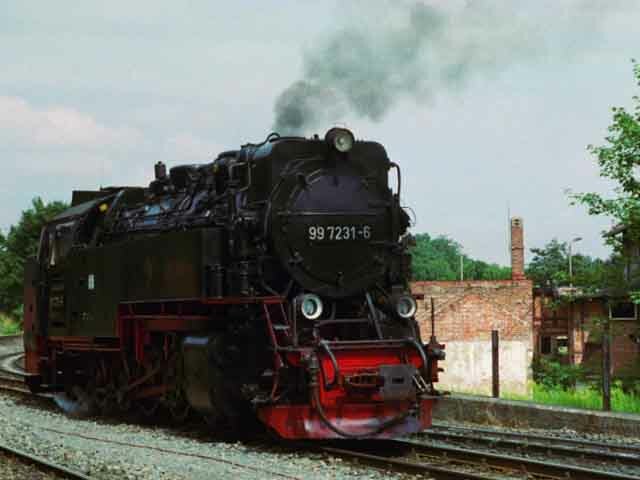 A short while later 2-10-2T 99 7236-5 arrives from the opposite direction with a Brocken to Wernigerode service. 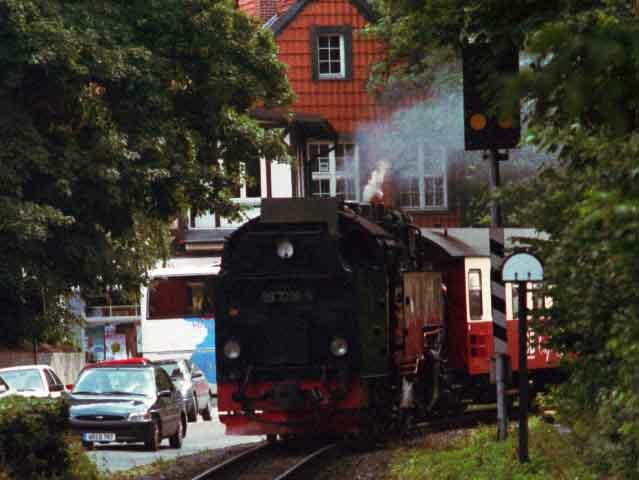 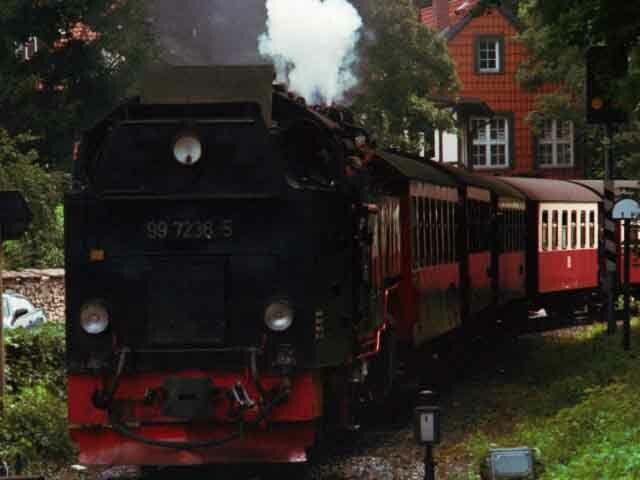 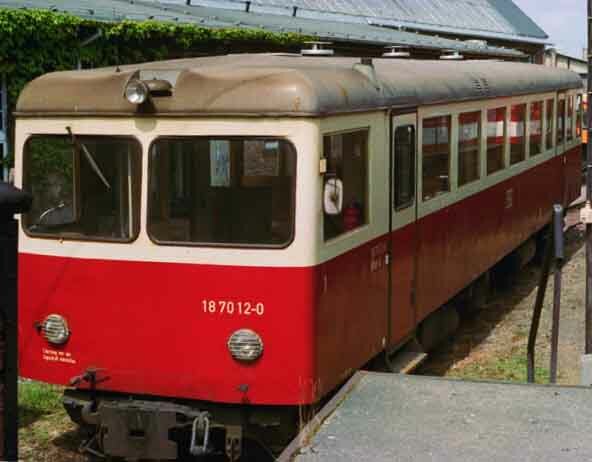 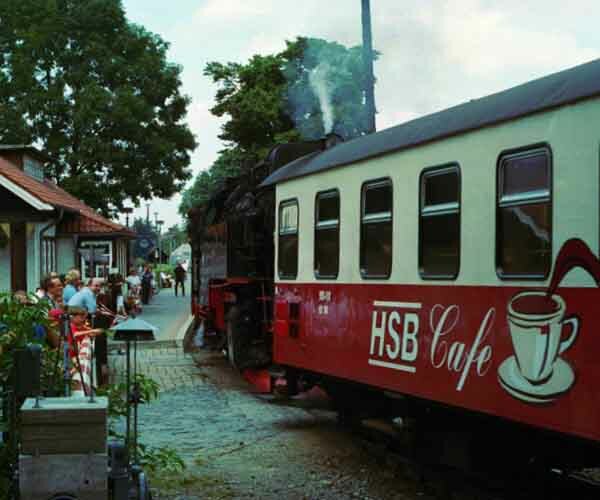 The final shots show 99 7238-1 departing towards Drei Annen Hohne, the next stop on the way to Brocken.